Tracker 5 updates will keep your software running smoothly and provide you with some great benefits. JTECH Medical wants to provide you with the support you need to help you get your equipment working. For those customers that would like updated software, unlimited technical support, and web trainings, we have yearly subscription options available. 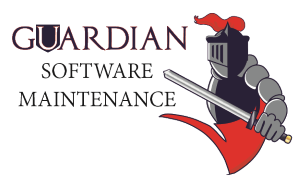 For more information, click the Guardian Software Maintenance link above, call (800) 985-8324 or click the chat icon below. For those customers that would like an extended warranty plan for their devices, we have a yearly support plan available also. 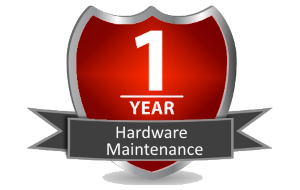 For more information, click the Guardian Hardware Maintenance link above, call (800) 985-8324 or click the chat icon below. For customers that require technical support for a single issue, we offer per-incident support. For more information, please contact JTECH Medical Customer Service at (800) 985-8324 x4 or click the chat icon below. I purchased your evaluation products about 2-weeks ago. I'm still in the process integrating it into my daily clinical procedures, but I couldn't be happier. Mary has been absolutely AMAZING!!! She has constantly checking in on me to make sure I'm not having any questions. I've purchased a lot of equipment over the years, and rarely do I get this high level of customer service to help with me implementing it in my office. I had reservations about making this kind of commitment/change into my office, but I'm glad I did and I'm seeing the additional potential this equipment will add to my office/patients. THANK YOU!!!! I want you to know how much I appreciate the help you’ve provided to me in operating the JTECH software and hardware. You have been providing help to me since the Christmas of 2004 to the present time. In addition, there have been other people who have also provided help, but I do not recall the names of these people because I have mostly spoken to Jeremy and Kevin. Your group who provides the tech support for the doctors and others who use the JTECH software and hardware have done a spectacular job because of your patience when dealing with the JTECH clients who do not know the vocabulary when raising questions. I can only say to those who have not yet used JTECH to evaluate the patient’s whole person impairment that I can recommend JTECH hardware and software and their support team for making it easy for people to operate the JTECH software and hardware to evaluate their patients. Since I practice in Beverly Hills California and your group is stationed in Utah, many times I call for tech support at 3 PM or later from Beverly Hills California and this causes the need for Jeremy who has completed his day’s work to take the time to help me making sure I’m using the JTECH software and hardware correctly.